On the occasion of Ganesh Chaturthi, Shri Shirdi Sai Sansthan Trust, Dilshuknagar has put an idol of Lord Ganesh at Sansthan. Special pujas were performed to the Lord; huge number of devotees thronged the temple for Darshan. On the last day of the Ganesh festival, the laddu which was put on the Ganesh deitys hand was put for auction which was won by Mankal Haridutt for 56,000/-. Sansthan has arranged a dais for special cultural programs. Students of Shri Shirdi Sai Sansthan Trust participated in the cultural program welcoming all other deities procession along with this sansthan distributed water packets, laddu and apples for the people who participated in the procession. Many people after watching the cultural program expressed their happiness. 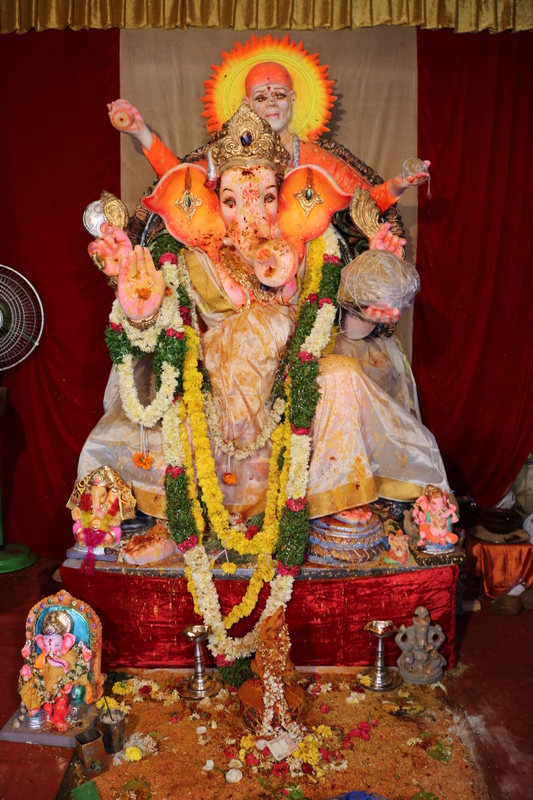 In the evening Ganesh idol was taken out majestically through the streets for procession and finally was immersed at Saroor Nagar Lake.